First floor walk out just across the street from the open space and the beach. 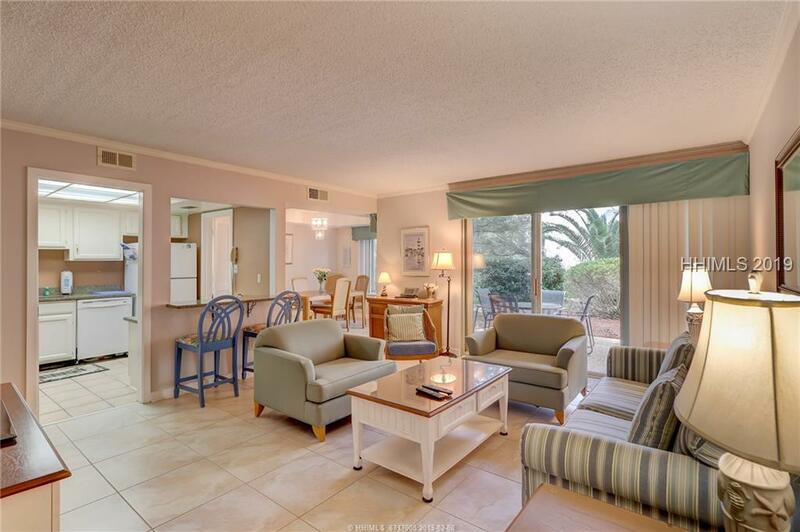 This 2 bedroom, 2 bath villa has an open floor plan, tile floor in the main living areas and granite counter tops and is nicely furnished. Steps to restaurants, shops, water sports and pool of the South Beach Marina Village. Wonderful rental or vacation property or permanent residence. For the most up to date listings within the Hilton Head Island/Bluffton area, please click the button below to search. We value your privacy and will not distribute your email address. Website Developed, Hosted & Maintained by Webheads Inc.